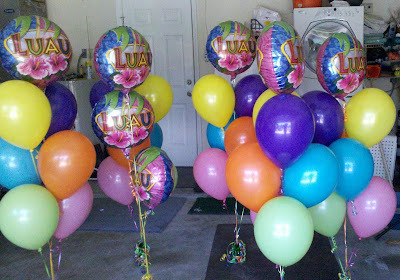 We delivered these colorful latex balloons with Luau Foil Toppers to add fun to Katherine Graduation Celebration. Client Put the balloons out at her event after we made the delivery. These balloons would of never fit in her car. Call Party People Celebration Company 863-255-2025 or email partypeoplecc@msn.com to place an order for your celebration!